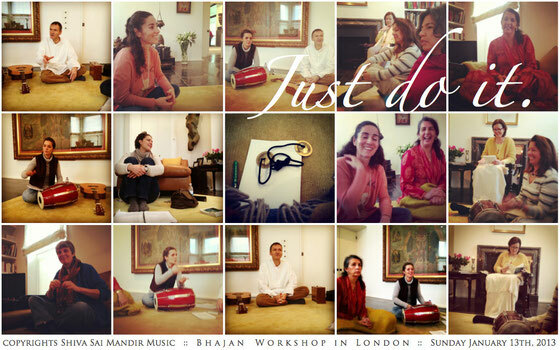 To inspire the lives of people with bhajans, we offer workshops. These workshops usually depend on the needs and wishes of the participants. If you have a group or the inspiration to organize a workshop with us, then please let us know. It would be our pleasure! The Workshop "Just do it!" We like to call our Workshops “Just do it!” As an appreciation from Swamiji’s little lesson he once gave to Vigneshwara when he was stuck in a certain situation where he couldn’t manage to move on with some music project. When he stood in front of Swami and stated the reasons for the project not to work out, he received the answer: "Just do it, than the blocks will go!" To make it short, there is no real reason not to sing if you and your heart would like to!